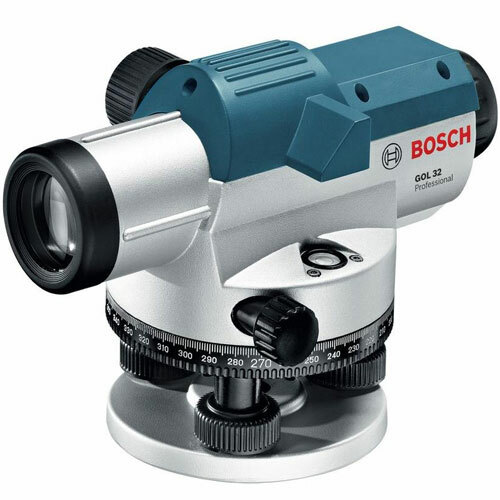 The Bosch 32X Automatic Level Kit GOL32CK has an exterior range of 400 feet with an accuracy of 1/16 inch at 100 feet. Large aperture 32X-power lens allows more light for a sharper image and excellent magnification. 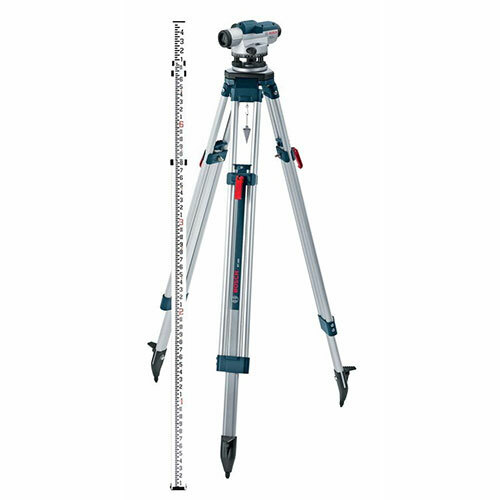 Self-leveling compensator with transport lock protects pendulum in carrying case against damage and loss of calibration. 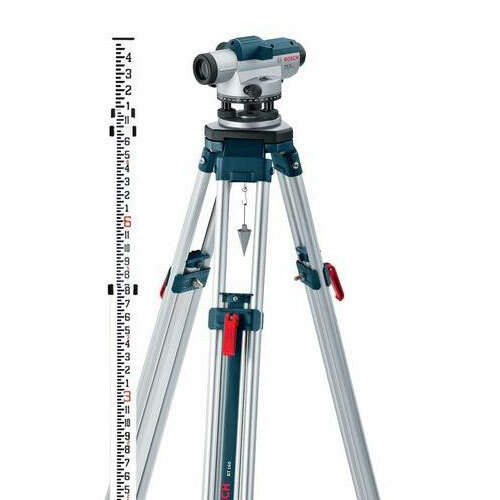 Both horizontal/vertical cross-hairs and stadia lines measures level, alignment and estimates distance.